Clamp Fittings,Linear Motion Guides,Industrial Clamp Fittings,Thk Linear Motion Guides,India. Apex Precision Agencies company was established in the year 1990 to market, procure & distribute some of the world's best vendors for motion control technology products for Industrial Automation. 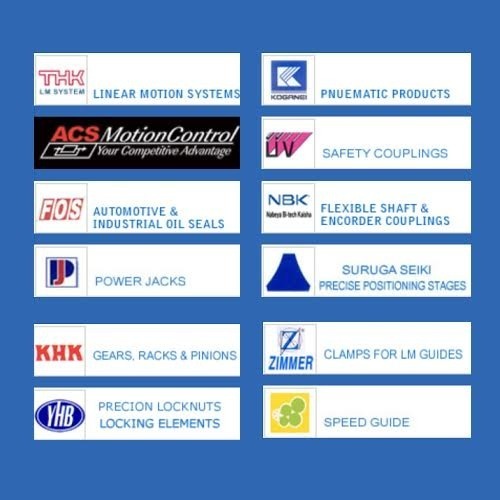 Our range includes Linear Motion Guides, Balls crews, Roller screws & lead screws, Linear guides, Linear Electro-Mechanical Actuators & Screw jacks, Curvic couplings, Racks & Pinions, Aluminium profiles used in various industries for automation. 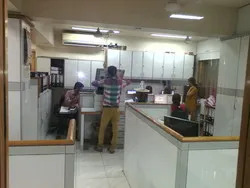 We are supported by a team of skilled and experienced professionals, who enable us to achieve the objectives of our enterprise in an efficient and hassle-free manner. These professionals are employed on the ground of their creativity and market experience in their concerned field. 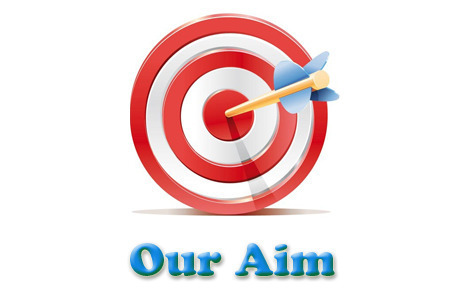 Our team members struggle hard round in order to meet the vast needs and preferences of our valuable customers. With the help of our skilled procuring agents, we are associated with reliable and certified vendors of the industry. These vendors are selected by our team of procuring agent on the ground of their past records of accomplishments, market leading prices, financial status, market reputation, prompt deliveries, etc. 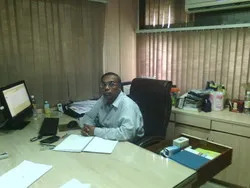 Mr Harshad Hemani, our mentor, has been heading the whole organization with an aim to become an entity known for high quality and customer satisfaction. Our never-ending quest to deliver superior quality products has made the company a name to be reckoned with. We employ stringent quality norms at each and every stage of the life cycle of our products. 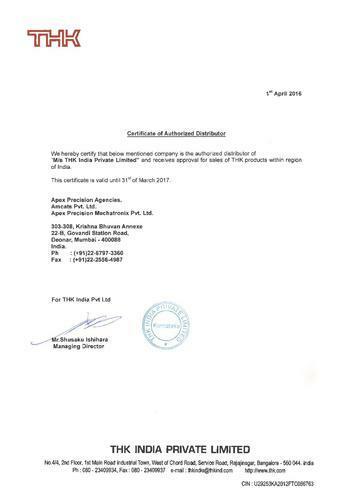 First of all our procuring agents ensure to purchase only the quality oriented products from those vendors who are certified from international quality standards. Further, to ensure their quality during their stock-time with us, our quality inspectors employ regular quality checks on the products. Also, before the dispatch of product consignments, we employ visual tests on them. Hence, original quality of the products is maintained throughout the product’s lifecycle. Since our establishment, we have risen significantly in our work domain. This success is owed to the untiring efforts made by our team of dedicated and skilled professionals. It includes various personnel who possess expertise in their definite domain of work. Their talent, experience and knowledge empower us to attain an exceptional growth rate. Our team of experts allows us to acquire the utmost satisfaction our clients. We are the distributor of the brand THK. We deal in our own manufacturing brand Apex.